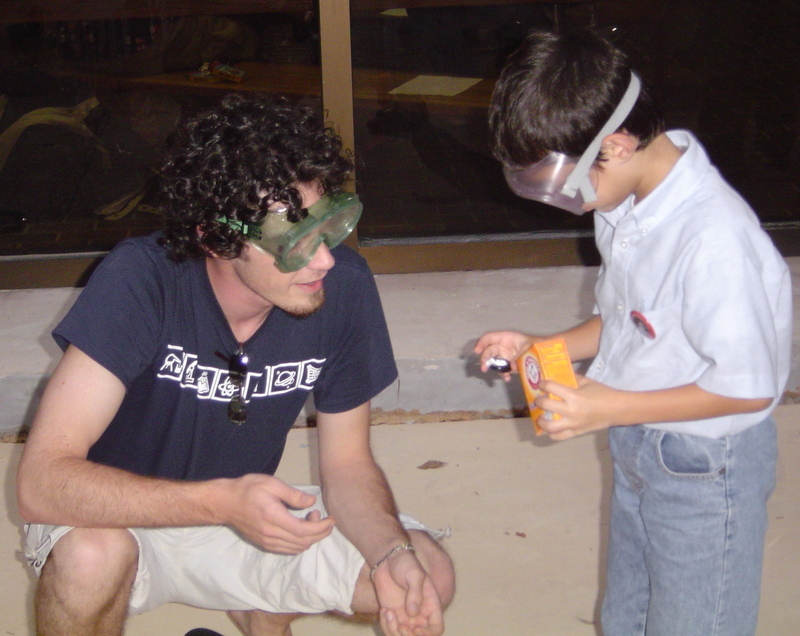 When I was looking through some of our old family photos, I found some of these wonderful pictures of me enjoying Hot Science – Cool Talks, when I was younger (and before I became an invasive hunter!). 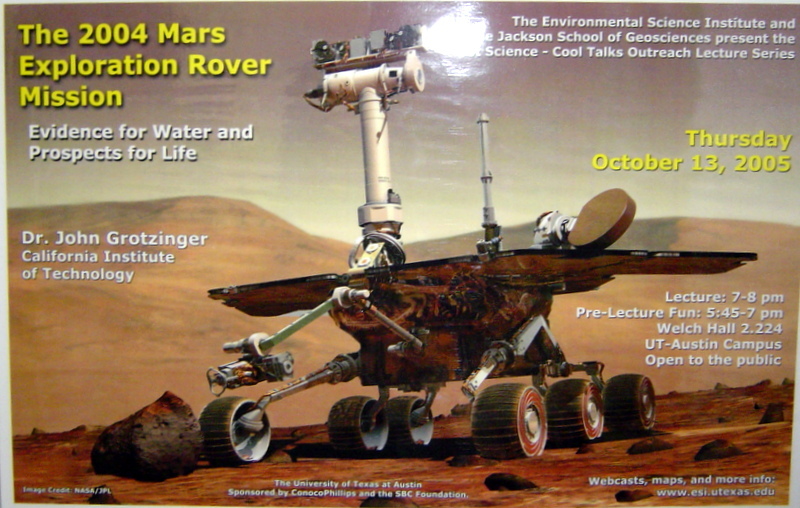 The talk was The 2004 Mars Exploration Rover Mission: Evidence for Water and Prospects for Life by Dr. John Grotzinger on October 13, 2005. Update: How exciting to learn that Dr. Grotzinger is a project scientist for the Mars Science Laboratory that is part of the Curiosity Mars rover that landed on the red planet on August 6, 2012. I’m sorry that I’m going to miss this month’s Hot Science – Cool Talk because I’ll be preparing for my presentation at Kid’s Day for National Invasive Species Awareness Week in Washington DC, but I hope that you’ll be able to make it. Be sure to get there early to enjoy all the fun activities before the talks. 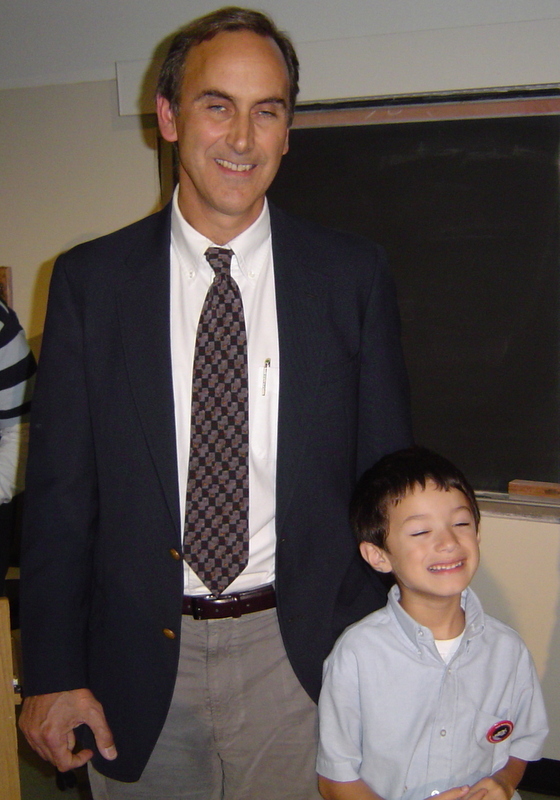 Last month included making a moon lander before Dr. Howell’s presentation!